Never enough light inside your Bronco? Don't want to string wires all over? We have the solution for you! 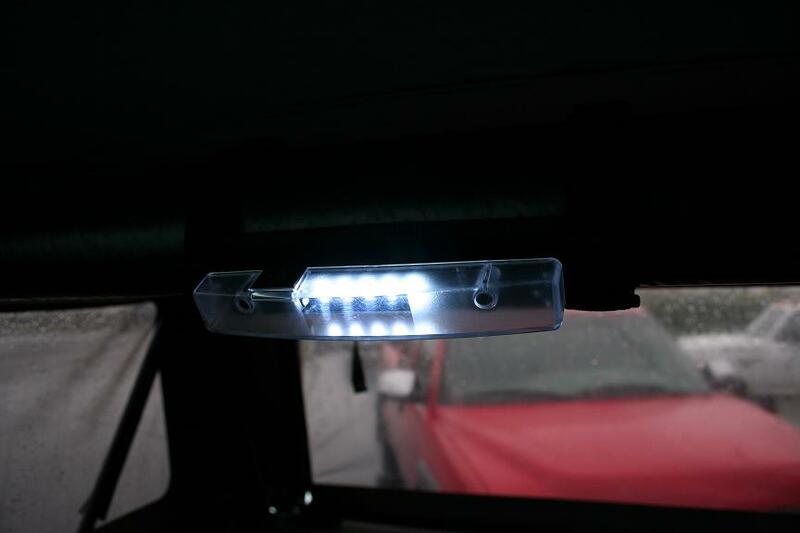 These roll bar LED lights attach to any standard roll bar, with or without padding. They simply velcro on, so no drilling or gluing involved. 5 Super Bright LED's, requires THREE Triple A Batteries that are not included. Has a easy to use on/off switch!